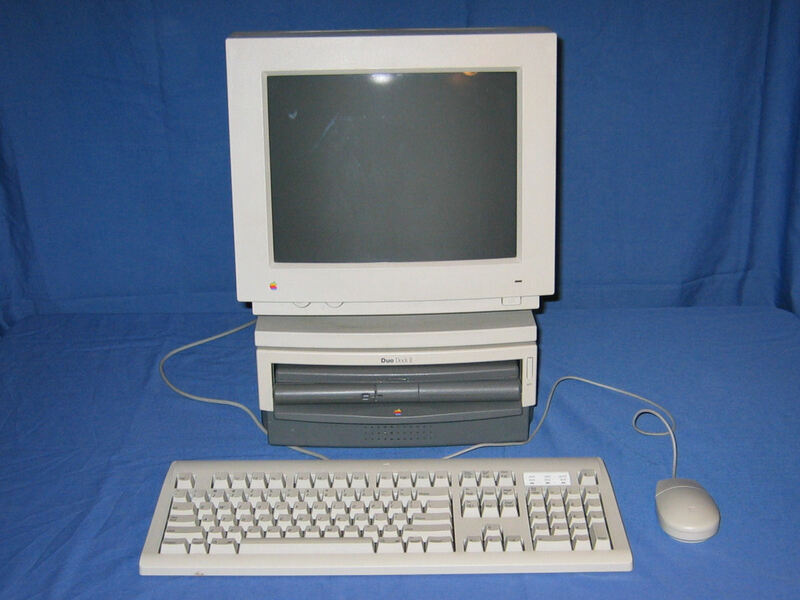 A typical home or office setup where the PowerBook utilises the full size display, keyboard and mouse through the Dock II. 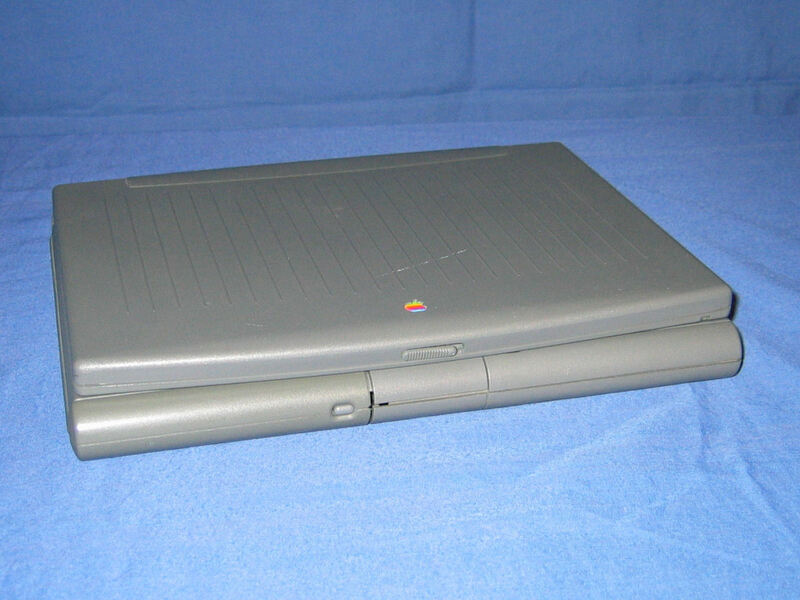 The PowerBook itself with the screen closed. 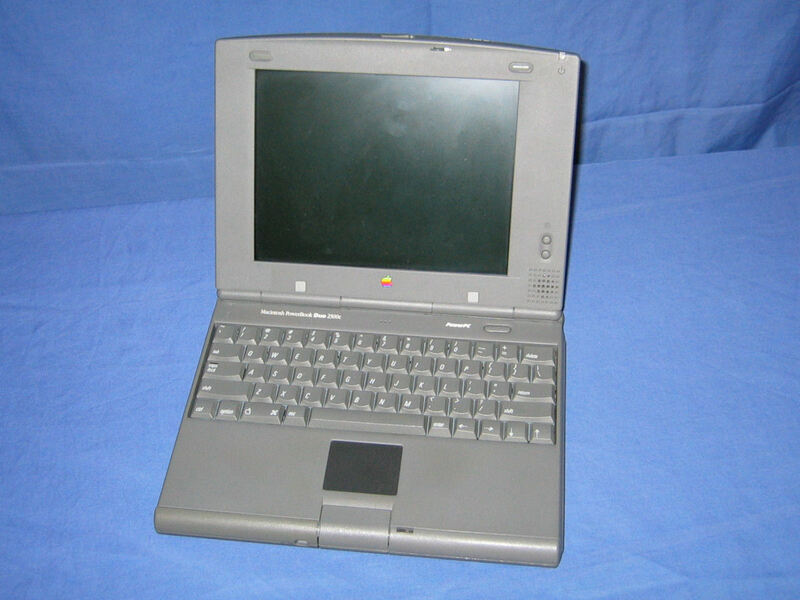 The PowerBook with the screen opened. In contrast to the Duo 210 this features a touchpad versus a trackball. 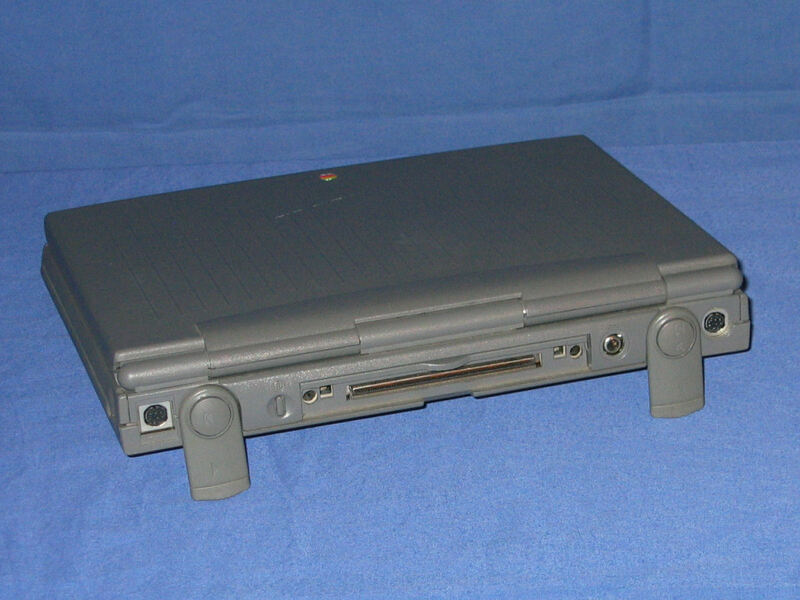 The rear of the PowerBook with the feet down to expose the port for the international modem (far left), power switch, dock connector, power input, and a serial port (far right). 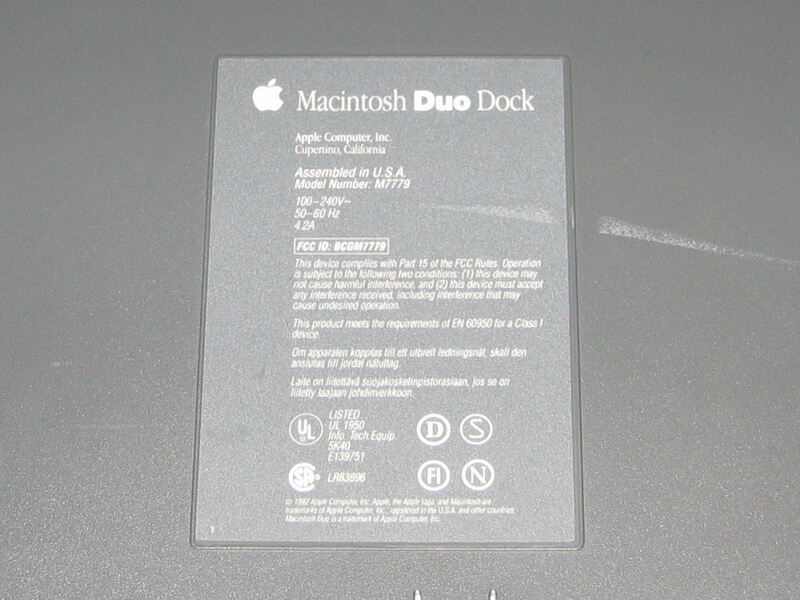 The front of the Duo Dock II. 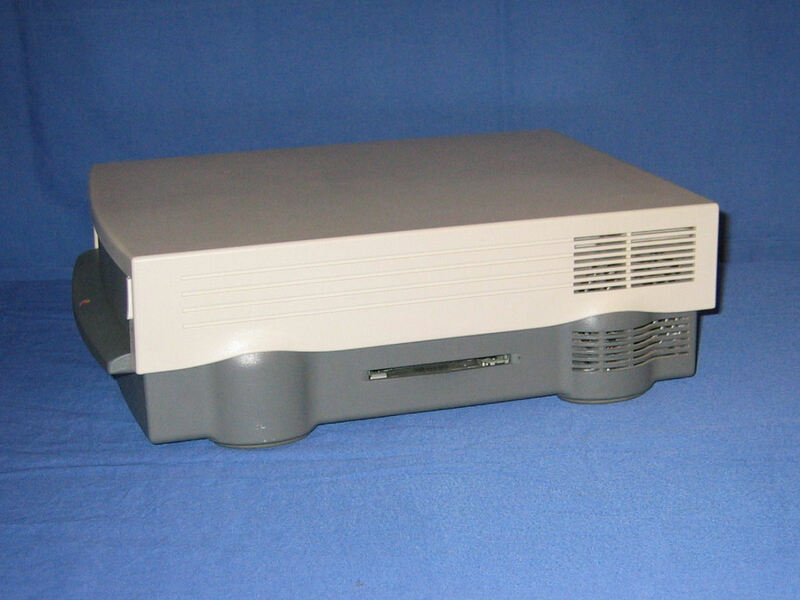 Any of the PowerBook Duo models can be simply inserted into the front of the unit until the mechanism grabs it to lock it in place. The button of the right hand side releases the mechanism and ejects the PowerBook a few centimetres. 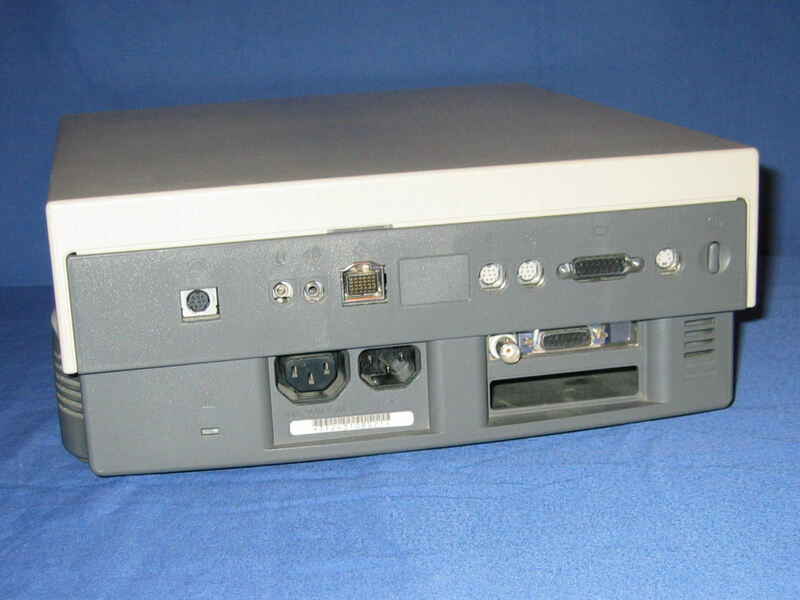 The rear of the Dock II features modem, audio, SCSI, serial, video and ADB ports. Below them and to the right of the power supply are the two NuBus slots. 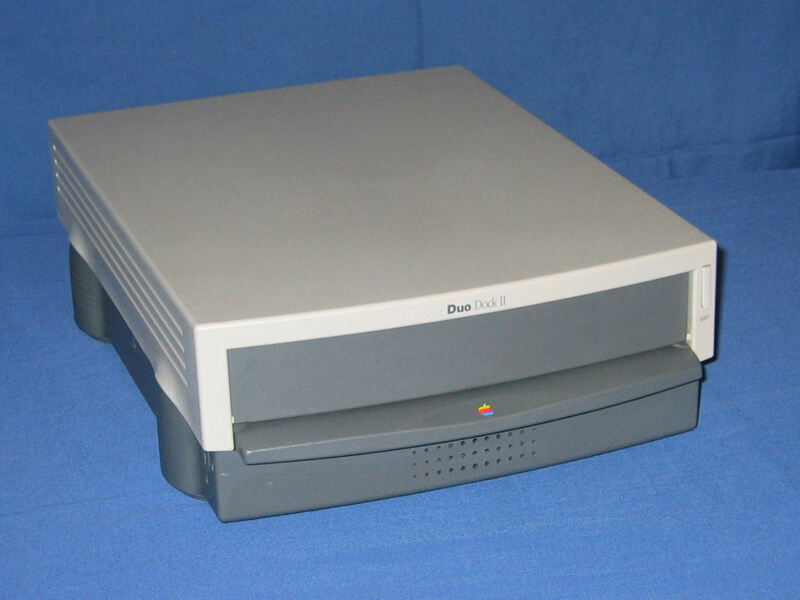 The right hand side of the dock features a 3.5" floppy drive. The label on the bottom of the dock simply says 'Duo Dock' while the front of the unit says 'Duo Dock II'. I believe this difference is because this specific unit was upgraded to a Dock II by replacing the logic board and cover. This also explains why there is not an additional hard drive as is a standard item with the Dock II but not the Dock. 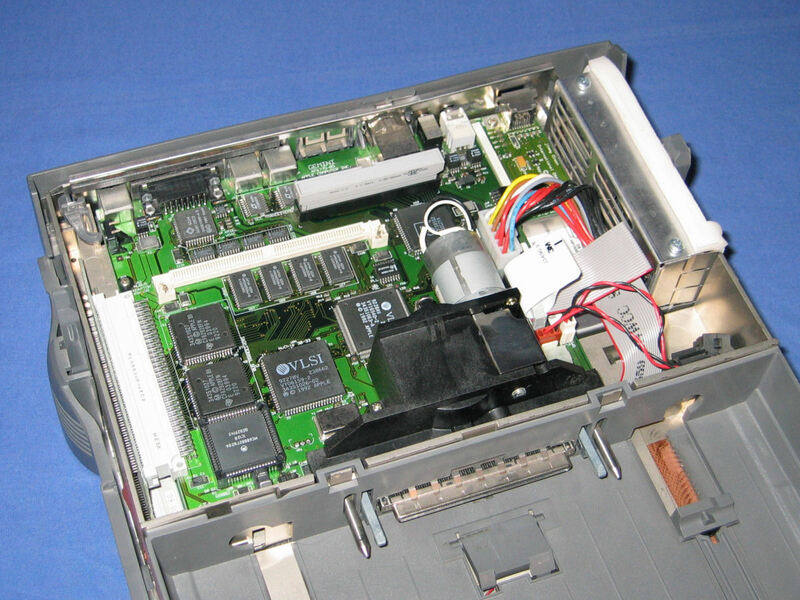 Releasing two catches just inside the front flap allows the cover to be removed which exposes the slot for the PowerBook and the logic board that it connects to. A better photo of the logic board. 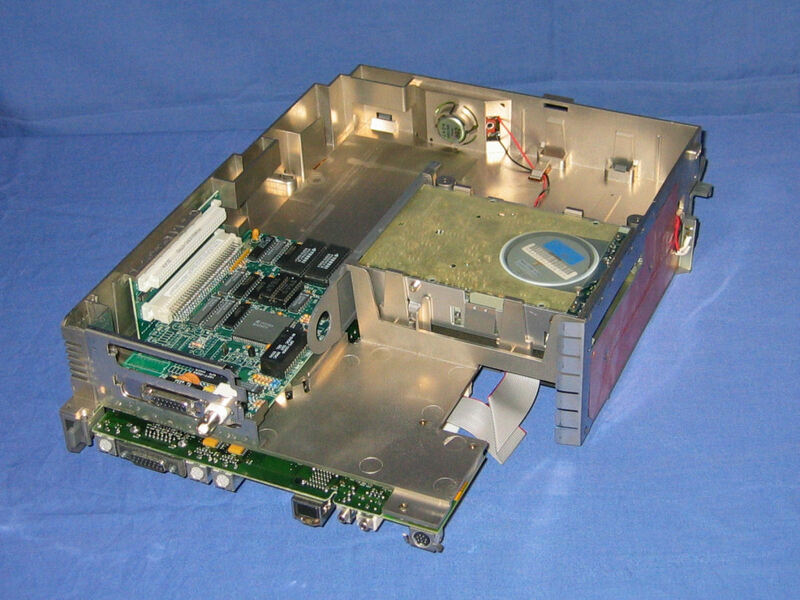 At the lower left is the 68882 math co-processor, towards the upper left is the slot for additional VRAM and towards the upper right is the internal SCSI connector with a SCSI terminator installed. 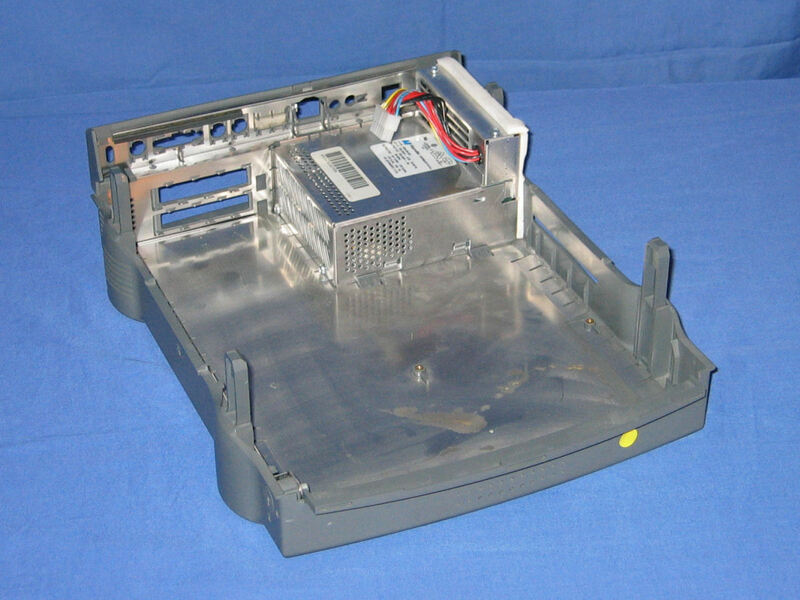 Once the subassembly has been removed the only component remaining in the case is the power supply. 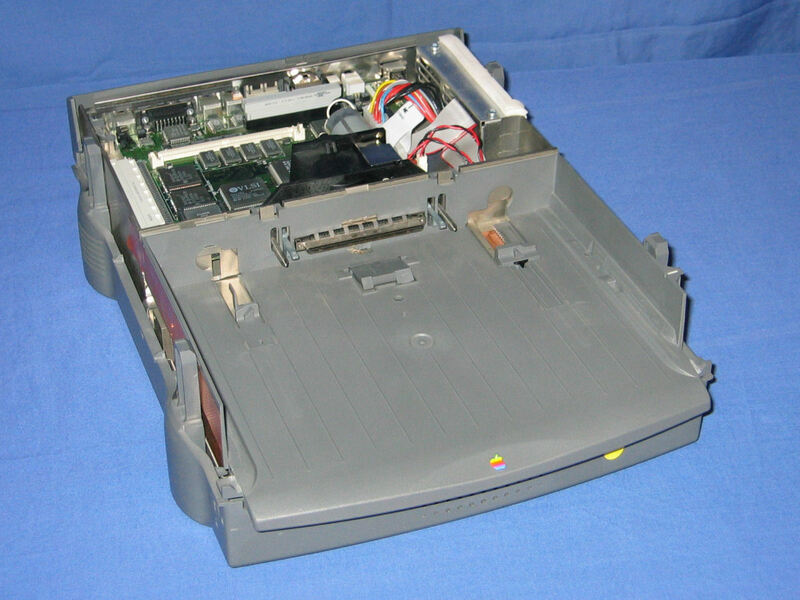 On the lower side of the subassembly are the two NuBus slots, the floppy disk drive, the location for the SCSI hard drive, and the internal speaker.